2. Change the number at the end of the name if you want it to take up a different slot. be sold or distributed for any form of currency. - Fixed cart art disappearing at long distance. 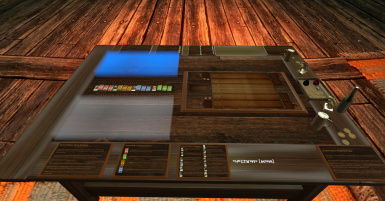 - Improved board & table graphics. - Added real Oren currency as coin flip from the game. 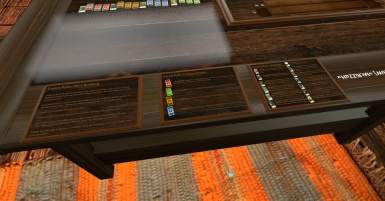 - Added ingame rules on the table. 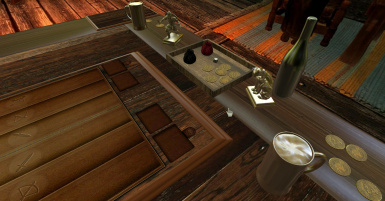 - Added some decoration to the table to feel more like an Inn. - Added a missing card. - Added a dice for random effects (such as monster faction ability). 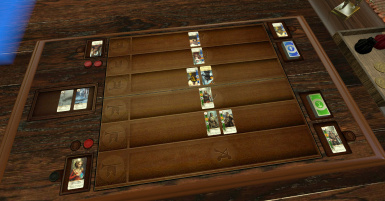 Welcome to the TableTop Simulator mod for gwent, an addictive card game in the world of Witcher 3. Grab a chair and a cold beer. It's time to get your deck out of your pants, slam it on the desk and show us your tactical skills and unique cards. The kings may play with our lives outside of this desk. But here and only here, it's the kings lives that lie in our hands. Choose your side: fight for the Northern Realms as Foltest, make others bow to you as Emhyr var Emreis, send monsters to reap souls as the King of the Wild Hunt or stand for your freedom as Scoia'tael leader Enid an Gleanna.